Market vendors and FRIENDS OF SARASOTA COUNTY PARKS are looking forward to a great market season in 2017. Winter is the prime growing season in southwest Florida and farmers expect this year to yield a bounty of greens (spinach, arugula, kale, collards, lettuces and chard), delicious strawberries and citrus, broccoli, melons and tomatoes. That makes for good (and healthy) eating. 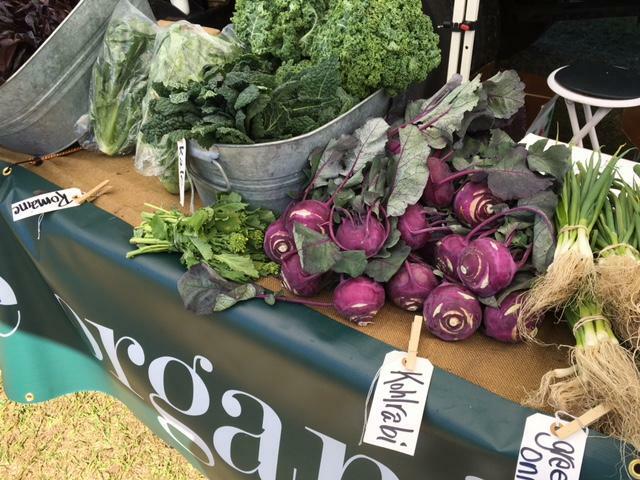 Please visit the market’s produce vendors – ALOE ORGANIC S (USDA Certified Organic Produce), BROWN’S GROVE, THE MUSHROOM GUYS (Bill Nelms), DUFOUR FAMILY FARMS (herbs), GREENS ON THE GRO, HOMESTEAD HYDROPONIC FARM, HONEYSIDE FARM and SARASOTA HONEY COMPANY. The market welcomes a new vendor this week. Stop by and say “hello” to Sarasota native Rick Hotton and his delightful HOLY MOLE comic strips and signed and framed prints. Welcome back to popular TROPICAL ISLAND FOODS KETTLE KORN with the best ever kettle corn. Also just back is PENNY BRANDON WATERCOLORS. Her prints and notecards are charming and so colorful. Another recent addition to the Farmhouse Market is RUFF LIFE, which is a non-profit charity (approved by the IRS) started by a true dog lover. They sell aloe vera dog creams for itchy skin, shampoo for dogs, antler chewing toys and the most unusual, one-of-a-kind dog collars and accessories. It’s a dog lovers paradise. Speaking of our canine friends, please know that HUMANE SOCIETY OF SARASOTA COUNTY is delighted to let you know that 3 dogs got adopted at the market last week and are happily ensconced in their new, loving homes. Congratulations to the new and caring owners. and…last but never least, is WASH N WAGGIN, a local mobile dog wash run by the Sarasota Hammond family – John, Jeanine and Bobby. They use organic shampoo and give your dog a “tail waggin” experience and all good dogs get a doggie treat. 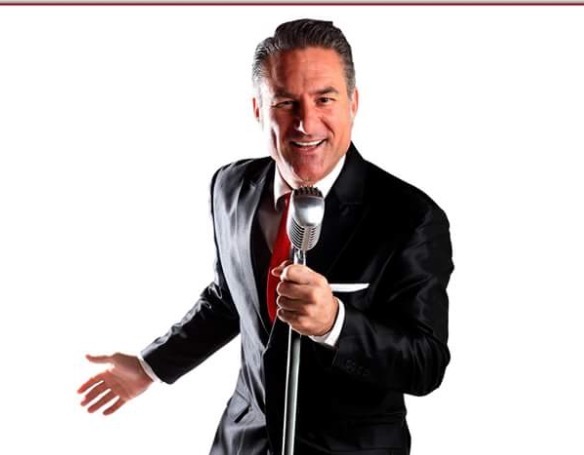 Be sure to come early and stay late because JIMMY MAZZ will be the musical feature of the day with his Dean Martin, Las Vegas, and Rat Pack favorites. Its fun. Its catchy. It is a great show! Please take a moment to visit FRIENDS OF SARASOTA COUNTY WELCOME TENT, where the friendliest volunteers in town will share their knowledge along with brochures and flyers about what is happening in Sarasota and environs, including the BROWN BAG CONCERTS which will be starting up the first Thursday in February. The FRIENDS also have added FOSCP SHADE IS GOOD with wonderful caps, hats and sun protection. Stop by and learn how to protect yourself from the harmful elements of the sun while enjoying the good, outdoor life in the Sunshine State. The Edson Keith Mansion will be open for a tour at 10:00 a.m. each Wednesday. Please meet on the Mansion porch a few minutes before 10 o’clock and a docent will take you through the Italian Renaissance home, which is now one hundred and one year old. The tour is FREE and open to the public. FRIENDS OF SARASOTA COUNTY PARKS greatly appreciates your donation to the rehabilitation of the interior of the Keith Farmhouse.